The transatlantic alliance and the EU agree “the common defence is a NATO mission alone,” US Defence Secretary James Mattis said Thursday after talks on Brussels’ own new defence pact. NATO ministers met Wednesday with EU foreign policy chief Federica Mogherini to discuss their concerns over duplication after Brussels agreed in December to develop new military equipment and improve cooperation and decision-making. “There is a clear understanding to include in written EU documents that the common defence is a NATO mission and a NATO mission alone,” Mattis told a press conference in Brussels. Mattis said discussions were “very candid” between NATO, which includes European members, and Mogherini. 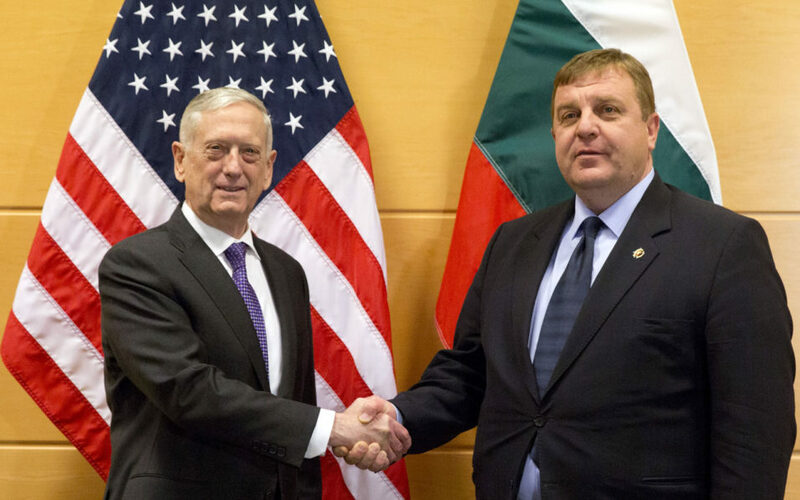 “We have sufficient rigour in the political sharing, the political discussions, to keep the EU effort, for example on military mobility,” Mattis said. The EU’s so-called permanent structured cooperation on defence agreement, known as PESCO, has projects in view already to develop new military equipment and improve cooperation and decision-making. But on Sunday a senior official working with Mattis said Washington had concerns that some of the proposed initiatives risked “pulling resources or capabilities away from NATO”. NATO secretary general Jens Stoltenberg said the right balance could be struck when he opened talks among the 29-member NATO defence ministers on Wednesday. “Done in the right way, these efforts can make a contribution to fairer burden-sharing between Europe and North America,” Stoltenberg told reporters. Stoltenberg has warned there was “no way” the EU could replace the transatlantic alliance in guaranteeing European security. “It will be absolutely without any meaning if NATO and the EU start to compete,” the former Norwegian premier told reporters on Tuesday.